Congratulations to Hannah Biggs and Don Caledonion, winners of the Advanced Medium Open Freestyle. 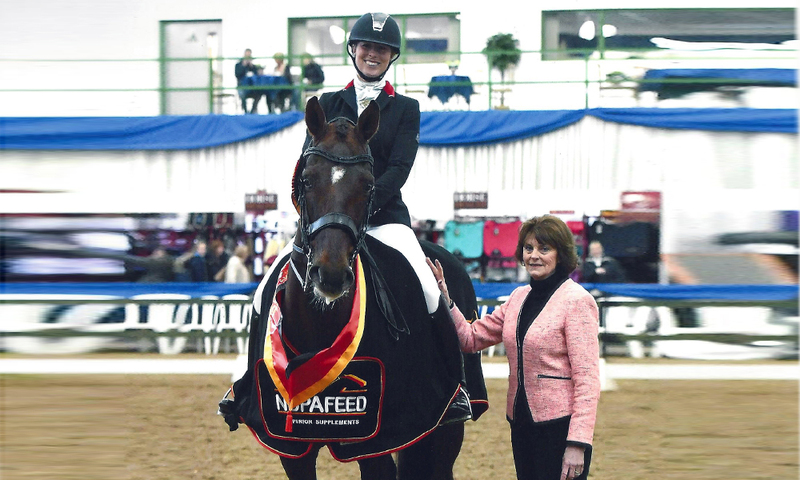 The class is always a competitive one and a highlight of the final day of the British Dressage Winter Championships. Hannah and ‘Archie’ got the judge’s attention when Tinie Tempah echoed from the speakers. Entry, halt salute, walk pirouette and onward. Not your average start! Hannah and Archie performed a faultless and highly technical floor plan for a score of 75.83% which couldn’t be matched. 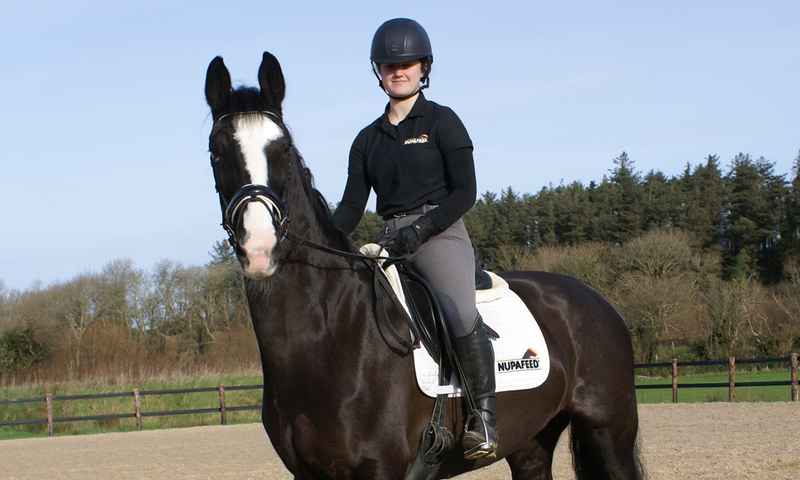 Don Schufro sired Archie was bred in Scotland by Caledonian Sports Horses and Hannah bought him direct from a video. 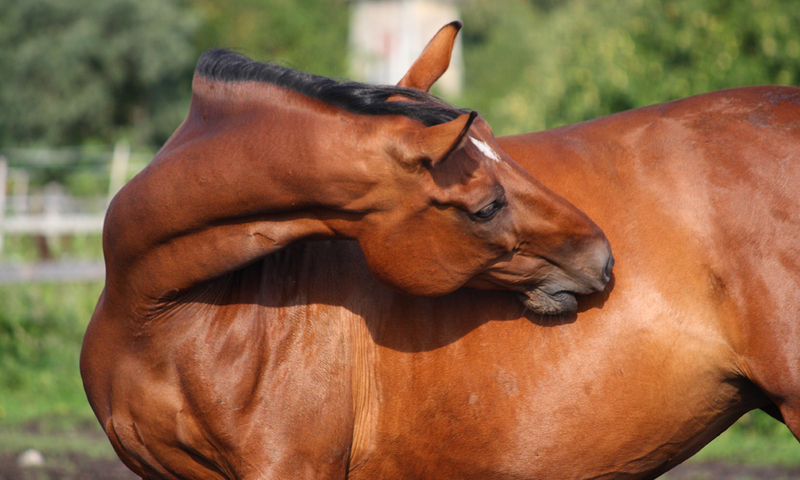 His breeder, Reay Campbell, still follows the liver chestnut’s exploits closely. 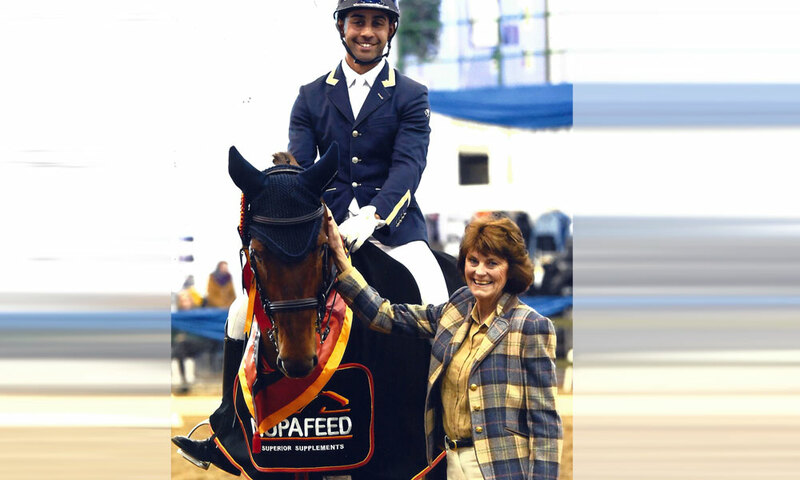 The win was extra special for Hannah as her top ride and ‘super star stallion’ Weltzin won the title in 2008 on his way up the ladder to Grand Prix and is now retired. “If he (Archie) does half as well, I’ll be very happy. He has all the promise.” Hannah commented.